The SeaVenture Hotel, one of the premier Pismo Beach resort hotels, offers affordable upscale accommodations right on the beach. 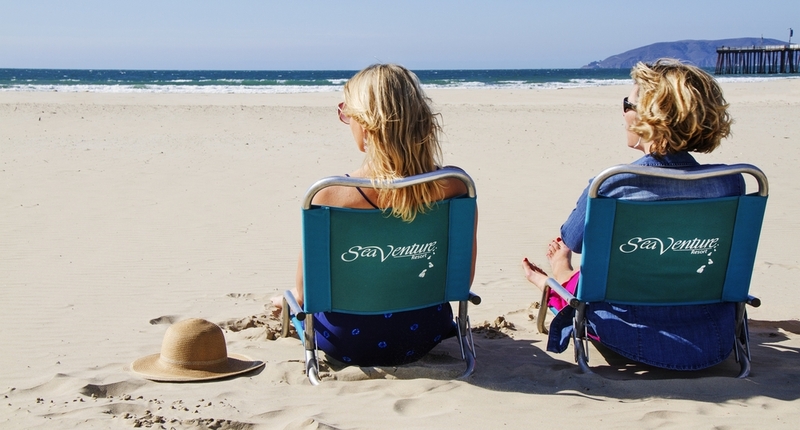 True to its tradition, SeaVenture offers a complete package of resort amenities including a fine restaurant, all located in a quiet zone just south of downtown Pismo Beach and the pier. Spend unhurried days and idyllic nights that are surrounded in an environment of casual elegance designed to awaken your spirit and soothe your mind. All rooms include featherbeds and fireplaces and a delightful breakfast basket delivered to your doorstep in the morning. 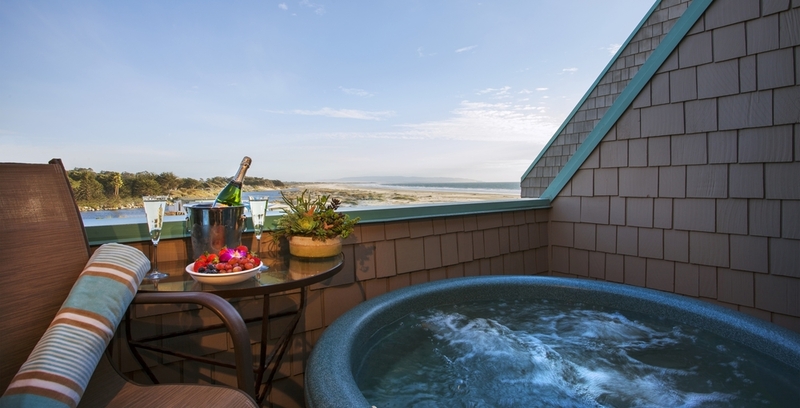 Most include a secluded hot tub on your own private balcony. Dine on contemporary coastal cuisine while taking in 180-degree ocean views from our third floor restaurant. Combining affordable yet luxurious beach accommodations with resort-like amenities, including fine dining and a massage center, giving the guests a pleasurable experience in one of California’s best-kept secrets, Pismo Beach. The 50 guest rooms provide the ultimate beach vacation experience. Enjoy private balcony hot tubs, fireplaces, feather beds, marble finishes, custom furniture, and stunning views. Pismo Beach House Vacation Rental also available on property, offering you the ultimate in privacy and romance, with full access to all hotel amenities. SeaVenture’s Pismo Beach Massage Center offers individual and couples treatments daily from 9am to 9pm and provides a variety of massages and body treatments to meet your every wellness need. High-Speed Wireless Internet Access: available in all public areas including guestrooms, the main lobby, all meeting facilities, the restaurant, and the lounge. It’s easy to stay connected! Restaurant: delight in seasonal menus that are carefully prepared based on locally farmed produce, premium meats, and the highest quality fresh fish and seafood. Weddings: professional and experienced staff will help you create your perfect beach destination wedding, from your ceremony taking place right on the white sand to a full ocean view reception complete with outdoor terraces, fine cuisine, and great service. Meeting rooms and outdoor terraces provide you with not only one of the most unique meeting places in Central California, but the ultimate in beachfront space for countless events for various groups. 3 Blocks from Downtown, Easily Accessible to Shops and Restaurants with beach cruiser rentals available.